While here on O‘ahu, you’re likely to experience more scenic imagery than humanly possible to remember. From the churning North Shore surf to tranquil, hidden ocean coves; from a sea turtle or monk seal snoozing on a quiet beach, to a rainbow-colored shave ice—only a picture can begin to capture these thousands of words. Whether you’re a novice photographer or a professional who just needs some extra gear, HAWAII CAMERA is here to help. This top-rated company is stocked with fun and professional cameras, lenses, lighting and underwater gear perfect for capturing all those fond memories. Pick-up is available seven days a week at O‘ahu and Maui locations, as is next-day FedEx delivery to your home, hotel or studio. The company also offers same-day Canon, Nikon and Leica digital camera sensor cleaning. Or go with the pros at BLUE HAWAII PHOTO TOURS. This phototour company is dedicated to helping its guests capture the aloha spirit through small-group photo tours conducted in a relaxed atmosphere, allowing full enjoyment of each destination. No fancy photo gear necessary. Show up with your iPhone, Samsung, Polaroid or iPad. Everyone is welcome! 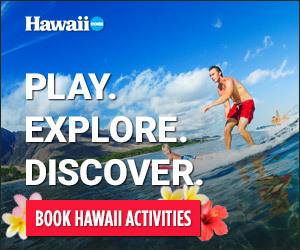 imagery and share Hawaiian culture and the history of each site, giving each guest a personal connection and story to accompany their photos. Tours are limited to seven people, with private group tours also available. If you’re in Waikiki, become a mermaid (and snap a picture of one!) with MERMAIDS OF HAWAII. Mermaids of Hawaii transforms travelers into mermaids for fun photo shoots as they bask in the sun. Packages are available with or without swimming lessons (open to all abilities). Underwater photos and video are available, as well as makeup services. Email mermaidsofhawaii@gmail.com for current rates and packages. If you want to take your holiday photos a step up, capturing a family portrait at one of O‘ahu’s stunning locales is a sure way to impress the relatives! Choose a location, and say cheese! Swim, hike, eat shave ice, watch sundown—whatever you choose, have fun and capture your Hawai‘i vacation with your family. One great option is LUCIEXYZ PHOTOGRAPHY, which offers family photo packages around O‘ahu’s beaches, lush forests, waterfalls and city centers. Long after your tan has faded, you’ll have a keepsake from your island vacation for years to come.